There comes a point in any artists career when the music they’ve created in the past becomes more important to their main audience, than any future albums they could release. While some older artists like Tom Plant have reinvented their careers, creating a new sound, and a new niche, others, like Billy Joel, Steve Miller and Prince are now in the greatest hits stage of their careers. A common misconception about greatest hits bands is that they can’t make new music. That is far from the truth. Many of these artists continue to release albums (Billy Joel excluded), but the idea is that their previously released songs are the highlight of any concert featuring the band. The new music exists, but we are searching for artists who have already completed their best work. Here are five artists we believe are ready to make the move into this greatest hits portion of their career as their latest albums have become stale and unexciting, even for their core fan base. 1. 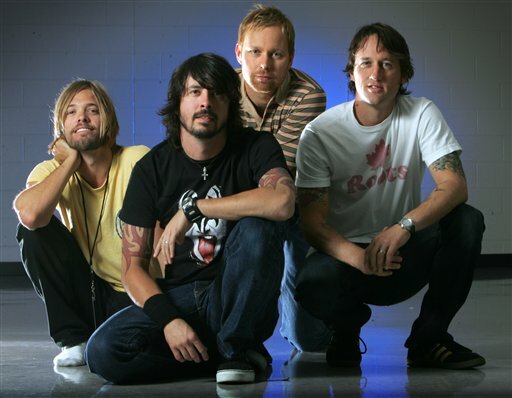 Foo Fighters: The first band on our list are a group of very active musicians who have been making music together since 1995 when their self titled debut went platinum. Few bands could get off to a start like the Fighers but with the Nirvana cloud hanging over David Grohl, the band thrived. They strung together five consecutive platinum albums, an impressive feat. In 2007 they released Echoes, Silence, Patience and Grace, their first release to not break the 1,00,000 (Platinum) mark in the United States. With songs like “Everlong,” “Learn To Fly,” “My Hero,” and “Times Like These” behind them, this band seems in the decline and should probably begin preparing themselves for post mainstream start status. 2. Green Day: Sure, we’re big Green Day fans here at TAM but that doesn’t mean we can’t admit when things are going downhill. Although their career hit an all time high with 2004′s American Idiot, 21st Century Breakdown was mared by fans and critics alike. It is tough to call an album a failure when it still manges to go Platinum but all you have to do is look at how many albums they sold just five years earlier (21st Century Breakdown sold 5 million less copies than American Idiot their highest selling album). Resting on a few singles that never panned out, the album will be remember for signaling the beggining of the end for Green Day as they take their six straight platinum albums and head into greatest hits mode. 3. Linkin Park: While the first few bands made their careers putting together long, intricate albums, Linkin Park focused on creating some of the best unique sounds of the last ten years. Over their decade in business, they have only released four albums but have more top singles than either of the bands before them on the list. In fact, every full length album except their most recent A Thousand Suns featured at least two Gold singles. 2007′s Minutes To Midnight, featured four. A career highlighted by hit singles and their now Diamond original release Hybrid Theory, Linkin Park will be making crossover fans happy for years to come. 4. Weezer: If there was ever a band to define a greatest hits band, Weezer would be it. With over fifteen years in the bank, they have released eight albums and have crossed genres, helping to make nerds worldwide cool. In 2005 they released Make Believe which was important for two reasons. First, it gave the world one of their greatest songs to date, “Perfect Situation” and second, it marked the last Platinum album the band released. Since then, they have released three more albums. Only 2006′s self titled release broke Gold. The rest are stuck somewhere below 500,000, with 2010′s Hurley reported to be sitting below 100,000 albums sold. While the ride may have lasted a little too long, this is the opportunity for them to regroup and then hit us with songs from the previous decade and a half. 5. Blink 182: This band makes the list with a reluctant sigh. When the news broke a few years ago that they would be reuniting, both to record a new album and to play an epic comeback tour, fans were only treated to half of that promise. While the tour was amazing, the album was delayed and is still on the drawing board. The main reason the band lands on our list, is because of this uncertainty. If there were an album release date, maybe we’d be a little bit more impressed. Right now, we’ll take them as a greatest hits band. Let’s see them actually produce an album with original music before we buy into them as a legitimate band, continuing to create fresh sounds.